This review is about item#2503837. Purchased as maintenance parts of the sowing machine to be used for 20 years or more (fully loaded stop switch). Unnecessary parts are included in the original product of the sowing machine maker, so we selected this product number of the same kind of function and installed it by wisdom. There is no problem at all. This review is about item#2087644. Lever is long and installation is easy and good. This review is about item#02504004. This review is about item#02504047. As a part of our own products. I bought it because the price delivery date is the best as compared with other places. It is used in conjunction with 12 volt relay. This review is about item#02504031. Buy the two as the motors of the wood splitting machine are noisy because of the movement and the electricity is wasteful. The same thing was attached as for energizing the hydraulic lever part and blocking place where the hydraulic part returned. It is convenient because it can be used for both. There is no heat generation etc. with AC 15 A capacity, and it operates without anxiety. Since wood chips etc. may be caught structurally, a dust cover is necessary. This review is about item#02503837. It diverted to the switch of the car. As a drip-proof type, I installed it on the bottom of the car as a back lamp switch of the car. Operation of drip-proof packing, terminals, switch part is made by Omron though it is high quality. I also expect durability. This review is about item#39111694. 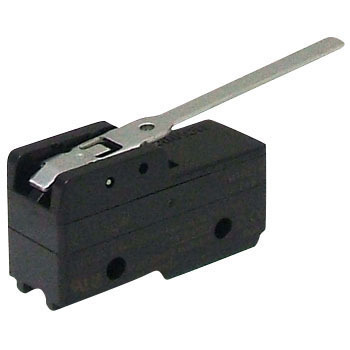 It is easy to adjust and easy to adjust with reliability of switching and moderate flexibility of the lever. Since it is replaced with existing ones, there is no problem in terms of structure and operation. This review is about item#02087416. It is used for attaching external parts of automobiles. The operation is also good, I use it with confidence. We have plenty of size and variety, so we can accommodate orders in small quantities, so I will also make an order when repairing other parts.